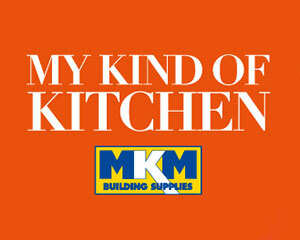 We want you to enjoy your shopping experience with MKM and make the most of our site. 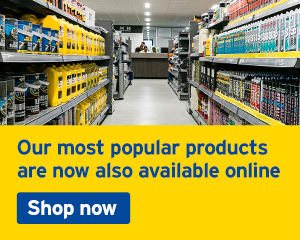 You can browse our product ranges freely but, when you decide to add items to the basket, we ask you to either sign in or register with us to benefit from the best prices. 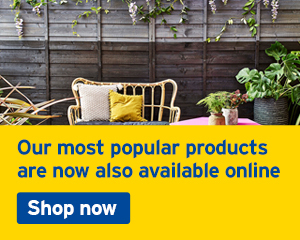 If you have already given us your email address and set up a password, all you have to do to be able to buy product online is click on “Sign in” at the very top of the page and enter your email address and password or, when you add an item to basket, the screen will prompt you to sign in. 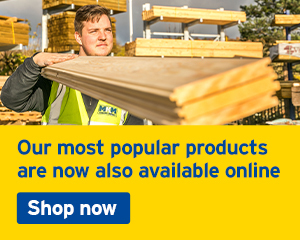 If you currently have a Trade Account with MKM and you want to be able to buy online, simply click on “Sign in” at the very top of the page, select “Activate my MKM trade account for online” and fill in your details on the short form. The Trading Branch will be the one you usually shop with now. If you have tried to add an item to basket, you will be directed the same page to activate your account. Click on “I’m a new customer and I want to start shopping now” when the screen appears after you have tried to add an item to basket. Fill in your details, click “Create an Account” and we will send you an email asking you to validate your account and create a password. Once you have done that, you will be able to add items to the basket. By creating an account, you will not automatically be given a credit limit but will be required to pay for any items you would like to purchase. If you wish to apply for a Credit Account with us, please apply online or ask at branch for a form. All of our customers choose which of our branches is most convenient for them to shop on a regular basis. However, our flexible shopping process caters for those times when you might wish to collect from or take a delivery from a different branch to your usual one. When you select a product you would like to buy, you will be asked if you would like to “Add for Collection” or “Add for Delivery”. Once you have completed your shopping and go to checkout, you can change the branch from which you wish to collect your order or from which you prefer to receive your delivery. If you wish to move an item from collection to delivery, or vice-versa, you can also do this at checkout. If you want to add a Job Reference to your order, you can do this by entering free text in the box provided. Lots of customers use this feature for identifying which of their jobs they are buying product. If you are using this feature and you want to order product for different jobs, we recommend that you place separate orders. If you wish to collect your items from a branch different to that shown, either click the drop down and select a branch or click ‘Change Branch’ which will allow you to enter a postcode to show which branch is closest to you. You can use the Branch Locator map to make your choice. 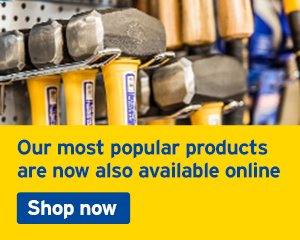 Once you have placed your order, you will receive an emailed Order Acknowledgement and your selected branch will contact you to let you know when your items can be ready for collection. If you need to make any adjustments to your order, it can be done at this stage. When you choose our delivery option, you will be asked to select the delivery postcode or enter a new one. Our online postcode checker will alert you if your delivery address is outside of our usual network delivery area. If it is, we may still be able to arrange delivery* and so either submit your order, or contact us beforehand and we will discuss options with you. 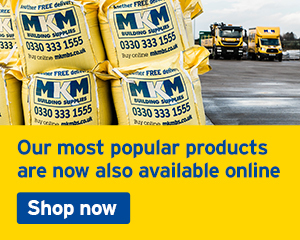 *MKM is proud to offer free local delivery to our customers but, if you require delivery to an address that is currently outside of our network delivery area, we may have to make a charge. Once you have placed your order, your delivering branch will contact you to discuss a suitable delivery date and time. If you need to make any adjustments to your order, it can be done at this stage. If your order contains items for both collection and delivery, you will receive two separate invoices, just the same as if you had shopped in branch. If you have a Trade Account with us and, provided that your account balance is within your credit limit, the value of your order may be charged to your account as usual. (Unless you choose to pay for the order at collection or prior to delivery). If your account balance is over your credit limit, we will ask you to pay for the order on collection or prior to delivery or we may agree to review your credit limit. 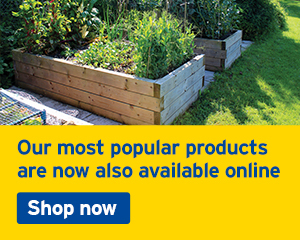 If you wish, you can go the ‘Your Account’ section of our website and opt to make a payment against your account. * You can clear the whole balance, make a lump sum payment or pay specific invoices. *If you make a payment via Credit Card, we apply a surcharge of 2.5% of the amount paid. When you “Create an Account” via the website, you are able to shop with MKM and pay for your orders via payment card. Your account is not a credit account. Depending on your trading status, you may be able to open a Trade Credit Account with an agreed credit limit. If you wish to make an application, either complete the form on the website by clicking on “Open a Credit Account” or contact your local branch for a form. If we agree to open a Trade Credit Account and this is done prior to you collecting or taking delivery of your order, and, provided the order value doesn’t exceed the agreed credit limit, the order may be charged to your new Trade Credit Account. If we are unable to give you a credit account, we will still do our best to give you competitive prices and we will ask for payment prior to collection or delivery of your order. If you wish to return items to us, we ask you to contact the collection or delivering branch by telephone, email or in writing within 7 working days (or 3 days for damaged items) of the collection or delivery date. You will need to quote your invoice or collection/delivery note number so that we can deal with your request promptly. The collection or delivering branch will discuss your reason for return or refund and will advise the return or refund process accordingly and as governed by our Terms & Conditions of Sale. If you are returning an unwanted item, it must be in brand new, un-used condition and fit for immediate re-sale. If it is a packaged item, the packaging must be factory sealed, intact and in good condition. We may apply a re-stocking charge, depending on the circumstances and we reserve the right not to accept items for return or refund. If an item is alleged to be faulty, we may offer a repair, exchange or refund following inspection, where required, by the appropriate manufacturer and their subsequent assessment and report. We reserve the right to apply a re-stocking charge. We are unable to offer return or refund (unless they are found to be faulty by the appropriate manufacturer) on non stock items, goods that have been fitted, goods that have been specially manufactured or where sealed packages have been opened on sensitive electronic goods. If you believe there may be a fault with a mechanical item involving the use of gas, electricity or water, before taking any remedial action, please contact the branch to request a visit to your site from the manufacturers engineer. For more information, please refer to our Terms & Conditions of Sale.